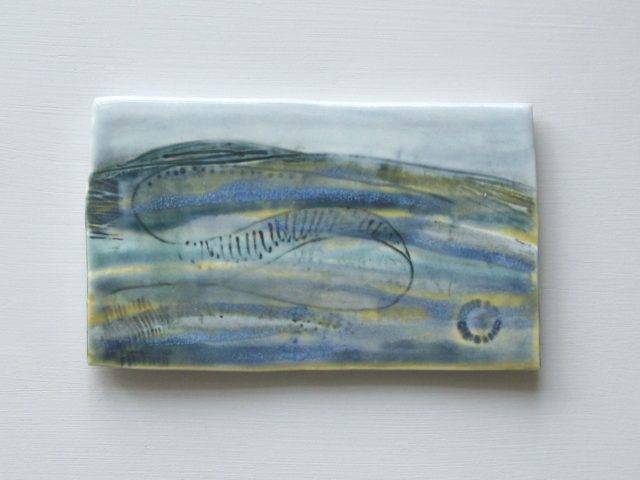 Katy Mai Webster is an artist and printmaker based in the Llŷn Peninsula. 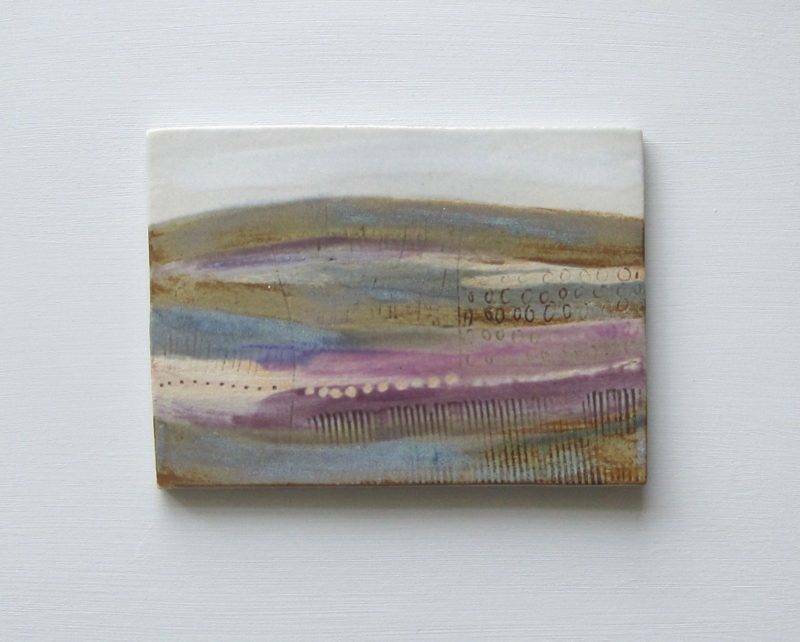 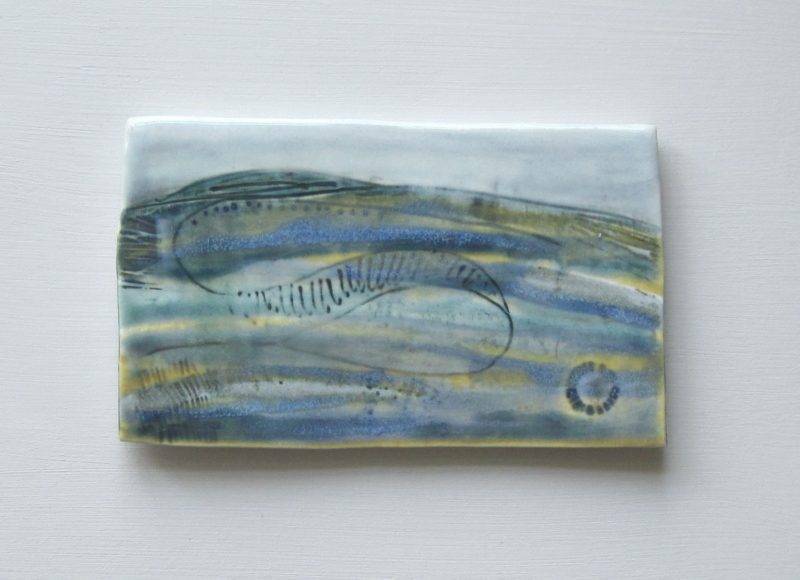 Her work is inspired by the beautiful coastal area around her home, especially the colours and textures of the landscape, human marks on the land and the tiny details of nature such as fossils, wild flowers, pebbles and lichen. 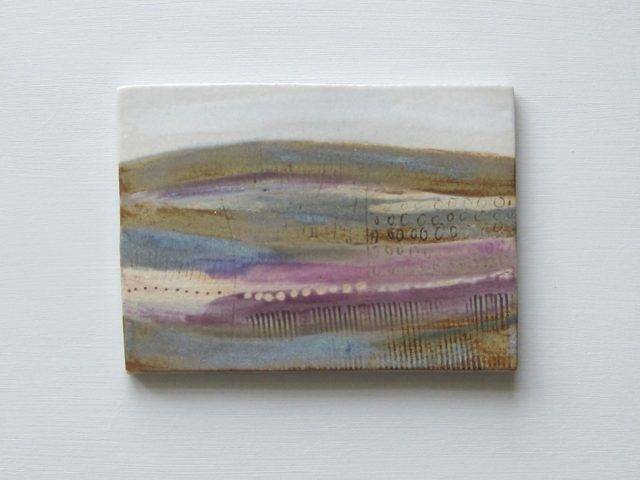 Katy graduated from North Wales School of Art & Design in 2009 with a First Class honours degree in Fine Art and since then has been working as a practising artist, specialising in painting, printmaking and ceramics. 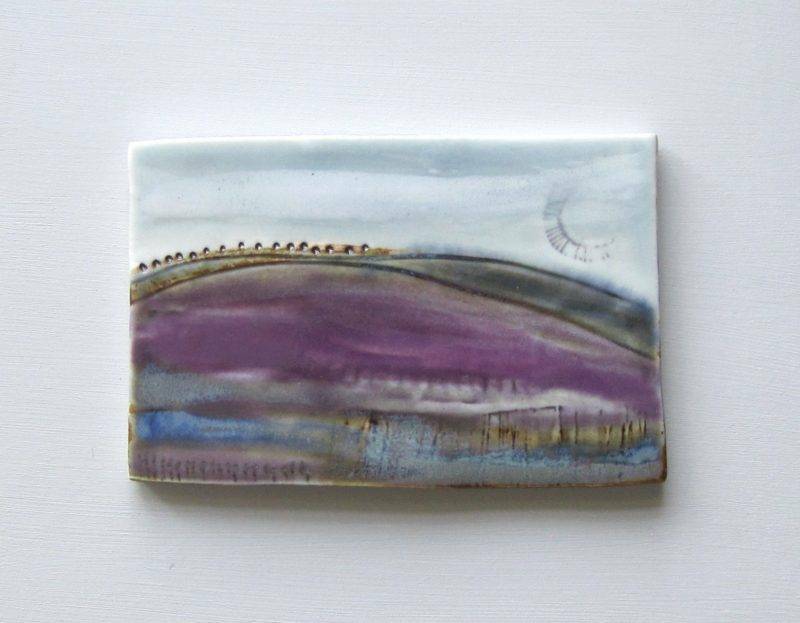 Katy’s ceramic landscapes are individually handmade with porcelain and stoneware clays. 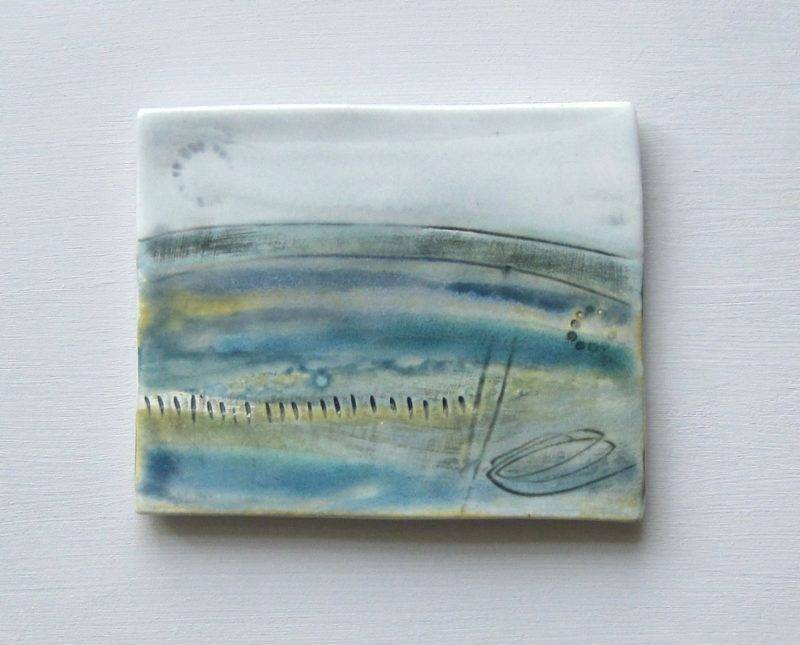 The clay is drawn into with a pencil before oxides and glazes are added in layers. 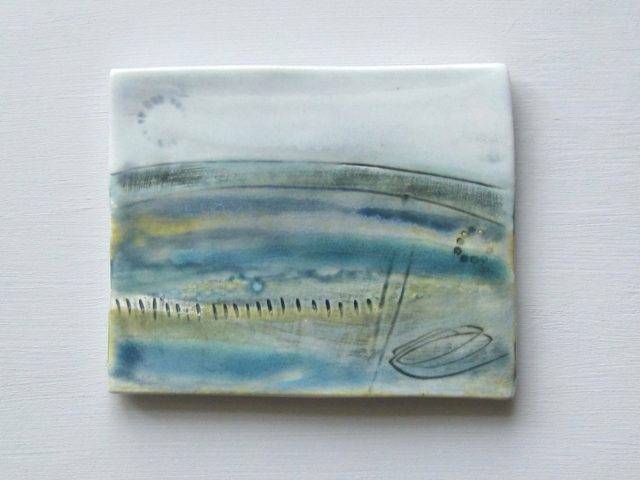 The final piece is fired several times, glaze being added between each firing to build up texture and depth in the work.